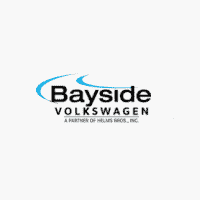 No one understands or cares about your Volkswagen more than Bayside Volkswagen! We specialize in making sure that all the parts and accessories you’re putting into your vehicle are meticulously designed and thoroughly tested so that only the best goes inside your car. Whether you’re looking for a bit of technology upgrade, or you simply want new floor mats, our accessories department has a wide range of items to make your car fully unique to you. Talk to one of our experts today! Superior performance and cutting-edge technology is what you expect out of anything these days. That’s exactly what you’ll be getting from Bayside Volkswagen. All our parts are tested and certified to make sure that you’re only getting the best. Whether it’s the smallest bolt, or the loudest sound system, we hold all our parts and accessories to the highest of standards. It’s our goal to find any part or accessory that you’re looking for and strive for complete satisfaction. From the smallest bolt to the entire engine, every part should be held to the same standard as brand new Volkswagen parts. We only offer certified parts and accessories that guarantee the perfect fit for your vehicle. Whether you’re coming to us for a simple oil change or a major repair we want to make your experience with us easy and hassle-free. We offer direct access to our cutting-edge technology to help ensure your vehicle continues to remain running like it just drove off the lot.